Hunters Element was created in response to the demanding hunting environment in New Zealand. Sweeping valleys, mighty glaciers, towering mountains, dense forests and powerful rivers make for a beautiful but unforgiving environment. It is raw, unique and unparalleled anywhere in the world. 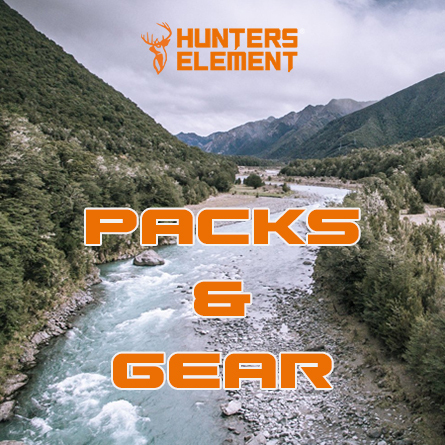 Hunters Element gear is designed to reflect this so encompasses cutting edge technology, design and production, to create incomparable comfort, performance and durability. Hunters Element allows you to beat these elements so that you can explore further and hunt longer. With innovation as their driving force and unprecedented quality as their goal, they have succeeded in producing gear that is second to none. Hunters Element is committed to using leading edge fabrics, advanced design techniques and the highly effective Desolve Camouflage patterns. Hunters Element gear is designed and tested to ensure it performs when you need it to while lasting longer.